I live within two blocks of Dunkin’ Donuts. That is close enough for me to be able to smell when they are cooking. It is a glorious smell in the morning and usually makes my walks in the morning end with a craving for coffee. I love that I can just pop in and get a delicious cup. However, it is also nice to have at home when I don’t feel like going in store. Dis you know Dunkin’ Donuts® packaged coffee is available at your local grocery store. I think it is awesome that Across the nation, consumers have a convenient way to purchase and enjoy their favorite coffee, whether or not they live or work near a Dunkin’ Donuts store. One Taste and You’ll Understand®. 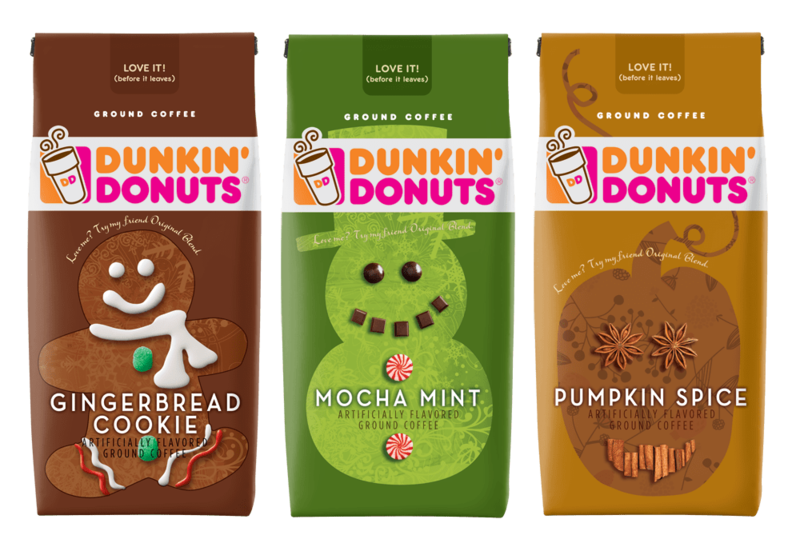 There are so many flavors to choose from: Original Blend, Dunkin’ Decaf® and special seasonal varieties including Mocha Mint, Pumpkin Spice and Gingerbread Cookie. But act fast as these seasonal varieties are only available for a limited time. I really having a hard time deciding which one I like the best. I like to mix them up and try a new one each day. Sometimes my Grandma will come over and enjoy a cup with me and we sit and talk and enjoy each other’s company. I love talking with my Grandma. We are very close and it makes me so happy that she lives near me. We talk about how much my kids behave like I did and talk about my uncles and my mom when they were growing up. Recently, we talk about funny Christmas stories like when I was afraid of my Incredible Hulk doll that was all squishy! Nothing evokes the joy of the holidays like sharing memories with family and close friends over a cup of delicious coffee. Which one is your favorite from the choices below? ‘Tis the season to treat yourself. 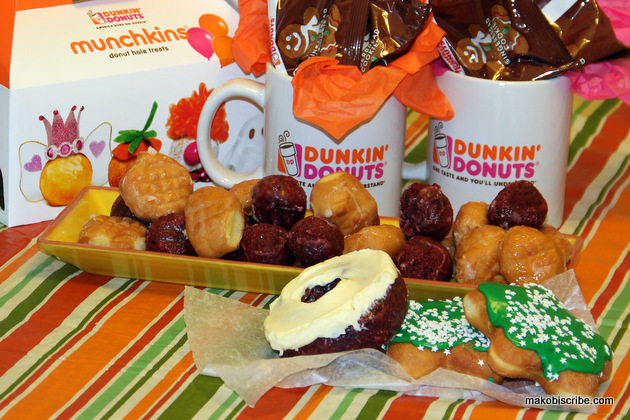 Look for these Dunkin’ Donuts® packaged coffee Flavors of the Season — only in grocery stores for a limited time. The new seasonal varieties even have a cute gift tag on them so it’s easy to use them as stocking stuffers or hostess gifts. I know that I am making a gift pack for my son’s teacher this year. She has been a fantastic teacher and so patient with my son. I hope that this gift will warm her heart this holiday season.